Navig8 Chemical Tankers Inc. (N-OTC: CHEMS), an international shipping company focused on the transportation of chemicals, Friday announced that it has entered into sale and leaseback agreements with ICBC Financial Leasing Co., Ltd (ICBC) for four of the Company’s IMO2 37,000 DWT Interline coated tankers. The net proceeds from the transaction were $94,710,000. A portion of the proceeds was utilized to repay existing loans used to finance the Vessels’ newbuilding contracts under the multi-bank loan facility announced by the Company on February 3, 2015. Under the sale and leaseback agreements, the Vessels were sold and delivered to ICBC. The Company has entered into bareboat charters with ICBC for the Vessels. The Company has purchase options to re-acquire the vessels during the charter period, with the first such option exercisable on the second anniversary of the date of delivery of each Vessel to ICBC, and obligations to repurchase the Vessels at the end of the charter period. Navig8 Chemical Tankers Inc. was established in 2013 as a joint venture between Navig8 Group and funds managed by Oaktree Capital Management to capitalize on significant structural changes in the petrochemical industry and the continuing development of long-haul chemical trades. Its best-in-class 32-vessel fleet exclusively comprises large, fuel-efficient vessels with modern eco-designs that take greatest advantage of these shifts and features a complementary mix of primarily Interline-coated and stainless steel vessels that are capable of servicing the full range of conventional and specialized chemicals cargoes. 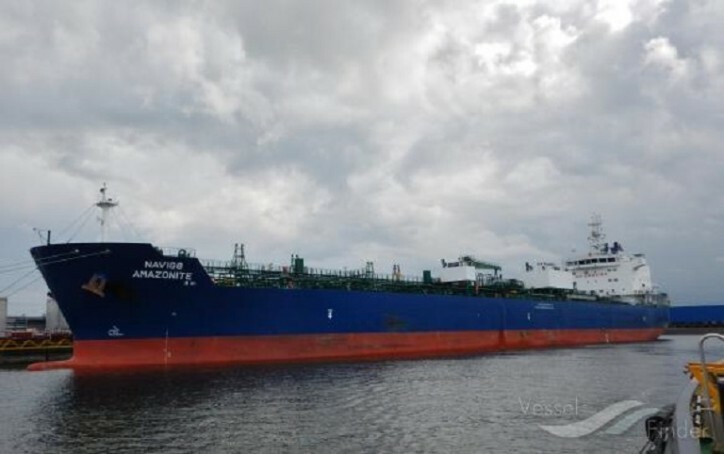 The Company’s fleet is contracted to operate in various chemical tanker pools managed by Navig8 Group, the world’s largest independent pool and commercial management company. Navig8 Chemical Tankers Inc. is listed on the Norwegian OTC market under the symbol CHEMS.